The movie Cyrus: trailer, clips, photos, soundtrack, news and much more! John met the woman of his dreams. 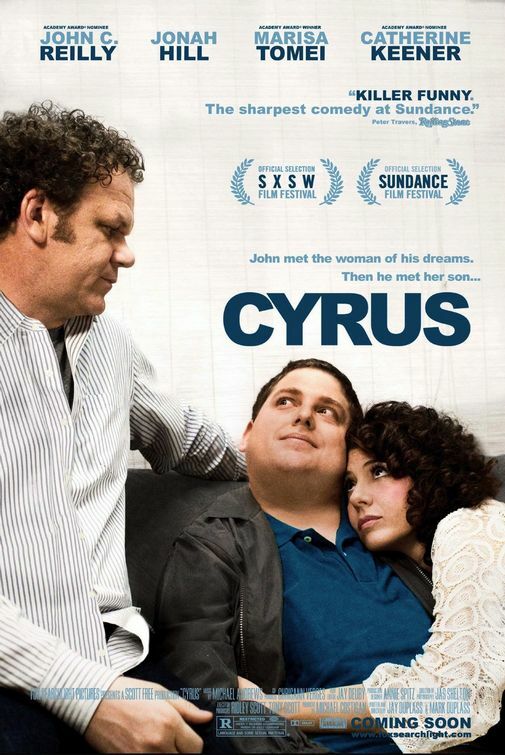 Cyrus is an upcoming comedy movie starring John C. Reilly , Jonah Hill and Marisa Tomei. The scene with Jonah Hill showing off his DJ skills is kind of weird, but still looks like a movie one can enjoy watching. John C. Reilly is way more interesting in the movie Cyrus than in his previous comedy movie with Will Ferrell!